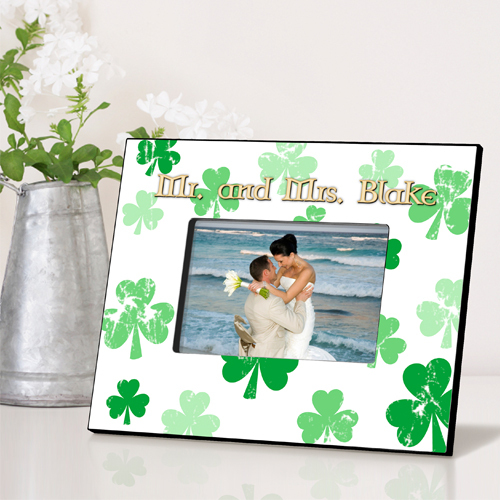 * Let our Personalized Irish Frames highlight your favorite pictures and add a little bit o' the Irish to your décor. 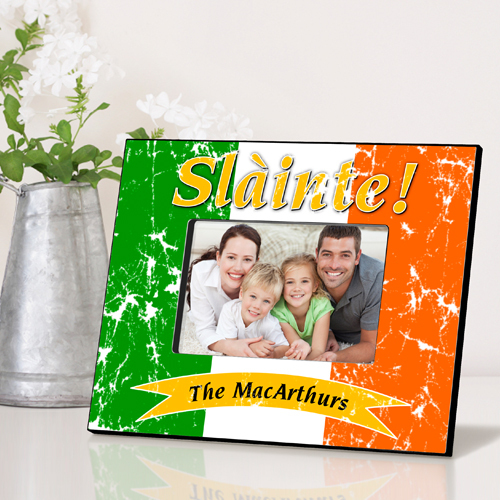 * With design options that run the gamut - from bright and bold green Celtic patterns, to delicate traditional white scroll and cheery clovers – anyone would be lucky to receive this personalized gift. 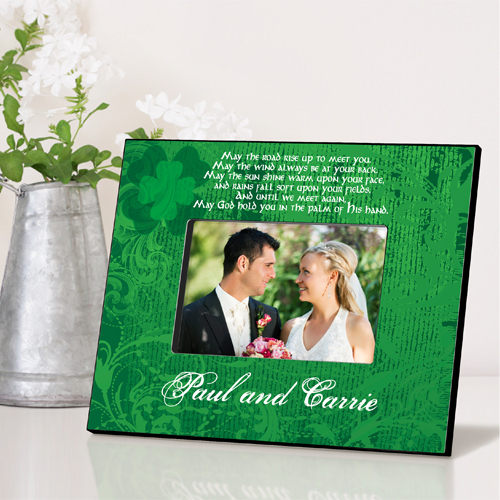 * Perfect way to display a fond St.
* Patrick's Day memory or Irish themed wedding. * Select design and personalize with one line of up to 20 characters. 10" x 8" x 0.25"